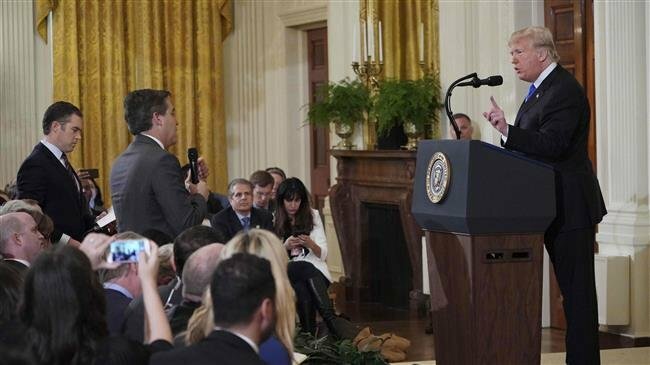 US President Donald Trump launched a tirade against CNN’s White House correspondent during a press conference following the midterm elections. The row began after CNN’s Jim Acosta raised a question about the migrant caravan approaching the US. The White House now says it’s suspended the press pass of CNN’s reporter over the heated exchange. CNN earlier reacted to what it called Trump’s dangerous attacks on the press. The news channel said the US president has made it clear he does not respect a free press. The statement added CNN stands behind Acosta and his fellow journalists.